I belong to a number of trusts, committees, roundtables, historical societies, and library foundations, including the Mormon History Association. I have volunteered my time and resources as a historian consultant to the Smithsonian Institution in Washington, D.C.; and as a friend of The Church of Jesus Christ of Latter-day Saints in Salt Lake City, Utah; and to other respected organizations. My studies of Mormon history have now spanned over thirty years. There are innumerable people that have assisted me in this research, and shaped my ideas, perspective, and methodology; some probably inadvertently or unknowingly; and a select few were unplanned but real mentors in business, history, or spirituality. No person thanked here would agree with all of my conclusions, and some would not agree with any. This is because I shared with broadly diverse groups of people in my quest for a truly representative social history. Among these people are professors, historians, bibliographers, librarians, booksellers, church leaders, pioneer descendents, and friends. They are included here because I honor and appreciate their intelligence, their integrity, their knowledge, or their friendship; nearly everyone on this list either visited my home or welcomed me into their own home. All of them treated me with great consideration. Parentheses ( ) denote that my contact with this person or place was by telephone interview or correspondence, whereas all others were personal interactions. This list of acknowledgments is appropriate to all of my writing collectively, including my published articles, my 125 separate Internet domain sites, and my forthcoming twelve volume history of the Great Lakes Mormons. This list does include those who have helped me in most recent years. (Richard Ahlborn), Jean Anderson, Leonard J. Arrington, Brent F. Ashworth, (David Azzolina), Ben J. Barany, Miki Barany, Steve and Josephine Hickey Barany, (Steven G. Barnett), Ronald O. Barney, Alexander L. Baugh, Maureen Ursenbach Beecher, Susan Easton Black, Thomas R. Beil, F. Edward Bennett, Richard E. Bennett, Paul Benyola, Roger Billings, Davis Bitton, Alma R. and Kay Blair, David W. and Myrtle Bowerman, (David Bowie), Lucas Boyce, Kent Braddy, Greg Bragg, Kenneth E. Brailsford, Charles W. Brantner, Smith Brickhouse, Newel G. Bringhurst, (Dale Broadhurst), Isaac Brockman, H. Royall Brown, Jared F. and Margie Brown, Ronald Brown, L. Madelon Brunson, George Christian Bump, Dana A. Bunner, Marge Burgess, Alfred L. Bush, Mark W. Busselberg, Ann Buttars, Bernard B. Butterworth, Robert and Melva Cackler, Joseph Calabrese, Don and Marcia Carter, Dewey Casagrande, William Cashman, Darlene Caswell, Joan Chubb, James Chubb, Wingfield Chubb, David L. Clark, Dean Clark, Gay Clemenson, Ray Clough, (Leonard A. Coombs), T. Jeffery Cottle, Steven R. Covey, Robert S. Cox, Peter L. and Donna Crawley, James E. Crooks, Angela M. Crowell, John C. Dann, Kim Smith Davis, George L. Delapp, James Denio, Larry W. Draper, Maurice L. and Ruth Draper, Leonard and Bessie Drew, Richard and Dorothy Drew, Dean Durrant, Scott H. Duvall, Mark Edlund, (Michael Edmonds), Dan and Madelyn Edwards, Paul M. Edwards, (Gary R. Ellsworth), Jack R. Ergo, Ronald K. Esplin, Julie Evans, James and Ardis Everett, Scott H. Faulring, John R. Ferguson, Kenneth and Isabella Fisher, Doyle and Phyllis Fitzpatrick, Chad J. Flake, Bruce and Betty Flanders, David H. and Timothy Flanders, Edna Fletcher, Lawrence Foster, Chad Foulger, Eric Fowler, Robert Frame, (Bil Gilbert), (Michael Ginsberg), George Givens, Janet Goehner, Jerry Gorden, Maria Gosling, Samuel S. Gould, Zada Grider, Rick Grunder, Darrell and Larrene Hagaman, James D. Hajicek, David Hall, Keith R. Halls, Wayne Ham, Jeff Hanks, John Harriman, (Allen F. Harrod), L. D. Harsin, Steve Hasler, John and Jacob Heinerman, Julia Henry, Lyman Henry, Drew Henson, Norma Jean Herzman, C. Houston Hobart, Derrick I. Hodson, Reed M. Holmes, Richard Neitzel and Jeni Holzapfel, Richard Horsely, James N. Hough, Richard P. Howard, Blaine T. and Barbara Hudson, Wallace E. Hunt Jr., David Huntsman, Lyn Richard Jacobs, (Soudi Janssens), Richard Jensen, (Dean C. Jessee), Oliver and Jennie Jodway, Stanley L. Johnston, Gerald E. Jones, Danny L. Jorgensen, (Ernie Jorgenson), Warren Kaari, (Greg Kearney), Jerry Kelly, David Kenison, James Kimball, Stanley B. Kimball, Greg L. and Cynthia Kofford, Deborah Kraus Allen, Daniel L. Kraus, Jonathan and Sharon Kraus, Renee Kreglo, (Craig Lamp), (Thomas V. Lange), A. Dean Larsen, David Larsen, Stan Larsen, J. Doyle and Ferne Launius, Roger D. Launius, Glen M. Leonard, Dawn Letson, Richard Linnell, Claudia A. Litchfield, Eunice Livingston, Paul Ludy, Steve Lund, Lachlan Mackay, (George S. MacManus), Robert Ben Madison, H. Michael Marquardt, (David C. Martin), Steven L. Mayfield, Sue McDonald, L. Edwards McGuire, James P. McKay Sr., Patrick S. McKay Sr., F. Mark McKiernan, W. Grant McMurray, F. Carl and Kay Mesle, (George Miles), (Dale S. Milne), William Mines, George L. Mitton, James Mitton, Jay Mitton, Dennis M. Moe, (Frederick J. Moore), (Wayne A. Mori), Estel G. Neff, John C. Olivarez, Anne-Marie Oomen, Florence Ourth, Dean G. Pace, Norman Page, Max H. Parkin, Velton L. Peabody, Jack Pement, Isleta L. Pement, Leroy W. Post, Paul Post, Kyle and Brenda Powell, Richard and Pamela Price, (Gregory Prince), Ronald G. Putz, D. Michael Quinn, (John W. Quist), Jack Raveill, (William Reese), Garth and Paulette Resch, Michael S. Riggs, John F. Riordan, Blake and Nancy Roney, Brooke Roney, (Glenn N. Rowe), Dennis Rowley, Velma Ruch, William D. Russell, Donald R. Savage, Paul D. Savage, Mark A. Scherer, Claude Schilling, Dennis E. Sharier, William Sheldon, Steven L. Shields, (Daniel G. Siegel), Barnard and Cherry B. Silver, A. J. Simmonds, Neil Simmons, Wayne E. and Verneil Simmons, Royal Skousen, Shirley Sliker, (Dorothy Sloan), Andrew F. Smith, Bruce Smith, John P. and Ruth Smith, Wallace B. Smith, (Hyrum W. Smith), Joseph F. Smith, Lorene Smith, Lavorn G. Sparks, Vicky Speak, W. B. Spillman, Sherry J. Stephens, (Hugh G. Stocks), Norven Storrs, Patricia Strubble, Audrey Stubert, Norman and Darleen Swails, Mark Swanson, Vern Swanson, Richard Sykes, Jane P. Szymanski, Justin Taggart, (Terry Tanner), Lloyd Taylor, Samuel W. Taylor, Linda Thatcher, Russell and Linda Thomason, Gregory C. Thompson, Jennie Throe, Forrest Throe, John and Joyce Thumm, Garland E. and Hazel Tickemyer, Gary Tickemyer, John and Alta Topham, (Shannon M. Tracy), Raymond C. Treat, James Twomey, Billie Ulland, Helen Ultican, Lee Wayne and Marian Updike, Roger Van Noord, Richard S. Van Wagoner, Michael Vinson, Daniel Vogel, Daniel and Alice Waite, Kent Walgren, Ronald W. Walker, James D. Wardle, Sharon Warner, Billie Jean Weber, Clair E. and Jessie Weldon, Samuel E. and Mary West, (Steve West), C. Leroy Wheaton Jr., Julian Whiting, David J. Whittaker, Pearl Wilcox, Richard and Ruth Wildermuth, Wendell and Ann Willis, Carol A. Willis, (Ulf Wiman), Paul A. Winans, (John Windle), (Kenneth H. Winn), David Yanny, Barbara Young, Biloine W. Young, (Frank J. Young), Buddy Youngreen, Donna Zabler, Steven P. Zolman. In search of scholarly information and fresh primary resources, I have used the academic facilities at the following college and research libraries. Not everyone was helpful; indeed, an isolated few tried to hinder me because of their cultural intolerance of Mormon history. Overall, I am grateful to the professional staffs of rare book librarians and archivists at the institutions below. In addition to using the resources available to the public, I have purchased my own books from virtually every significant bookseller in America, and photocopied innumerable manuscripts in private hands, building a collection of an estimated twenty-five thousand imprints, manuscript letters, and early photographs. These expert dealers and private collectors have my professional respect, personal admiration, and somber gratitude. I appreciate the guides and local history specialists where I have visited the most important earliest Mormon history sites: From Palmyra, New York and vicinity; Kirtland, Ohio and vicinity; Jackson County and Independence, Missouri; Clay County and Liberty, Missouri; Caldwell County and Far West, Missouri; Davis County and Adam-ondi-Ahman, Missouri; Hauns Mill and Richmond, Missouri; and Hancock County, Carthage, and Nauvoo, Illinois, and vicinity. Most of these have been often repeated visits, as I crisscrossed my region in the Midwest; and especially those in Missouri, where I lived part time in Independence; and in Nauvoo, where I have traveled practically fifty times. Further, I am thankful for the hospitality, friendship, and assistance of the other people who aided me as I traveled through forty states and the following more significant cities (among many others) doing research, meeting people, and purchasing books. The United States (45 States, the District of Columbia, and Puerto Rico), England (London), Italy (Rome, Pompeii, and Naples), the Vatican, Hungary (Budapest, Miskolc and Nyíregyháza), Slovakia, the Ukraine, Romania, Canada (Ontario, from Thunder Bay to Toronto), Mexico (Cancun three times, Yucatan three times, and Cozumel four times), the Cayman Islands (four times), the Bahamas (twice), Jamaica (twice, once to each side), Haiti, St. Martin and St. Maarten (twice each), Dominica, Barbados, Grenada, Tobago, Belize in Central America (twice), and Honduras in Central America. In the quest to understand the sociological diversity of the Mormon movement, I have freely visited and have close friends among all of the significant but minor Mormon groups. I am indebted to the insiders who welcomed me to understand this diverse set of churches. This includes all of the branches from those descending from James J. Strang, Brigham Young, Alpheus Cutler, Joseph Smith III, William Bickerton, and Granville Hedrick. I have visited the historic sites of James J. Strang in Chautauqua County, New York; Voree and Burlington, Wisconsin; and St. James [Beaver Island, Lake Michigan], Mackinac Island [Lake Huron], Charlevoix [previously Lake Mormon] and Holy Island, and Boyne City, Michigan; and Black River Falls, Hixton, Alma Center, and Wrightsville, Wisconsin. I actually lived briefly on his Mormon Road in a historic 1840s Mormon house while I worked on my Mormon history project. I have visited the followers of Brigham Young in Council Bluffs, Iowa; Florence, Nebraska; and all of the major towns of Utah, including Salt Lake City; and a hundred other places outside of Utah; becoming close friends with prominent ones. I have visited the historic sites of Alpheus Cutler in Clitherall, Minnesota; Manti, Iowa, and their present day congregation in Independence, Missouri. I have visited the followers of Joseph Smith III [formerly the Reorganized Church] in Plano, Illinois; Lamoni, Iowa; and Independence, Missouri; including many dozens of congregations. I have visited the followers of William Bickerton in Monongahala, Pennsylvania and Oak Grove, Missouri. I have visited the followers of Granville Hedrick at both locals in Independence, Missouri; and throughout Missouri; and the groups that descended from his movement. I have visited the main Mormon polygamous groups in Colorado City, Arizona and Hildale, Utah; and Manti, Utah; and with those from Bluffdale, Utah and from Pinesdale, Montana. I have visited all of the principal Restoration groups that have dissented from the Reorganized Church, including centralized groups, congregationalist groups, and leadership association groups. 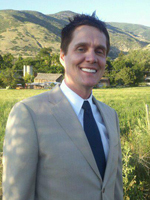 In each of these diverse Mormon or Restoration churches, I have become friends with both members and antagonists, both professors and the uneducated, both historians and theologians, both conservatives and liberals, both the faithful and the doubtful, both inborn Mormons and converts, and both leaders and followers. Much of this interdenominational tolerance was aided by my second home in Independence, Missouri, for over a decade, where they all have a common heritage. I believe that my conclusions have merit and validity, and a special perspective found nowhere else. There are cultural behaviors in the divergence of minor Mormon groups that help in the understanding of the sociology of what motivated early Mormons, and how they wrestled with authority and their new religion. In the end, after all this research, I feel absolute temporal certainty that the Book of Mormon is truthful, as sure of it as I was when I read it for the first time as a teenager with absolute spiritual certainty. For that physical evidence, faith, and spiritual affirmation, I am most thankful to my heavenly Father, his son Jesus Christ, and the Holy Spirit.